Posterior knee pain refers to pain behind the knee/at the back of the knee and can be acute (sudden onset) or chronic (gradual onset). Hamstring tendon strains are common acute injuries. A Baker’s cyst is a large swelling at the back of the joint which occurs gradually. Acute posterior knee pain is often from a tear or strain of a tendon which joins the muscle to bone. However, a chronic knee injury can become acutely painful from time to time, especially from overuse. A hamstring tendon strain is a tear of one of the hamstring tendons (usually the biceps femoris) at the point of insertion at the back of the knee joint. 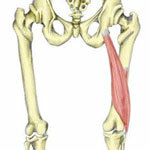 The biceps femoris is one of the three hamstring muscles at the back of the thigh. 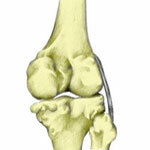 A tear or strain can occur to the tendon which inserts at the top of the tibia or shin bone at the back of the knee. It is more common in sprinters or sports involving kicking. Symptoms include a sudden sharp pain in the back of the knee and there may be swelling, tenderness or heat at the site of injury. It is important to get an accurate diagnosis and rule out a complete rupture or an avulsion strain. Treatment involves immediate first aid in applying the PRICE principles (protection, rest, ice, compression, elevation). Once the acute phase has passed, rehabilitation exercises can begin. These should include include stretching, strengthening and functional (sports specific) exercises. Read more on biceps femoris tendon rupture. Symptoms of an avulsion strain are similar to that of a hamstring tendon strain. However, with an avulsion, the tendon is torn, pulling a small piece of bone away with it. This is known to be particularly painful, resulting in swelling at the point of injury. If you suspect you have an avulsion injury, seek professional advice. An X-ray is needed to confirm the diagnosis. Pain at the back of the knee may occur gradually, where the patient is unlikely to be able to pinpoint the exact time the injury occurred. These injuries often start out as a gradual ‘niggle’ but eventually become more chronic and can be more difficult to treat. A Baker’s Cyst or Popliteal cyst is a swelling that protrudes out the back of the knee. It is often about the size of a golf ball but can vary over time. A sensation of pressure in the back of the knee and the patient will have difficulty bending the knee. Read more on Baker’s Cyst. Gastrocnemius tendinopathy or tendinitis is inflammation or more likely degeneration of the tendon of the calf muscle causing pain at the back of the knee. 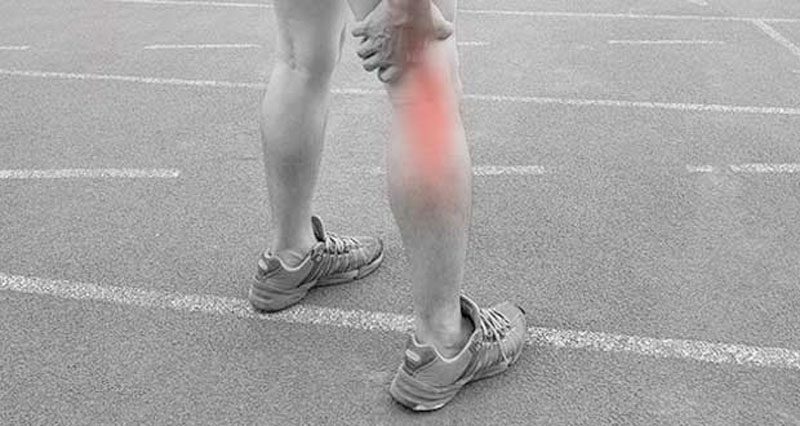 This is an overuse injury which is more common in runners and sprinters. Treatment involves reducing the pain and inflammation followed by a full rehabilitation and exercise program to restore the muscle and tendon to full function. Read more on Gastrocnemius tendinopathy. 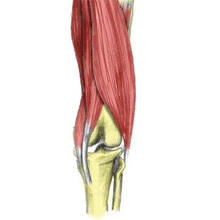 Biceps femoris tendinopathy or biceps femoris tendonitis is inflammation or degeneration of the hamstring tendon at the point where it inserts at the outside back of the knee. Symptoms include tenderness and swelling at the point of injury which is likely to have come on over time. Stiffness in the morning or after sitting for long periods is also a symptom. Read more on Biceps femoris tendinopathy. 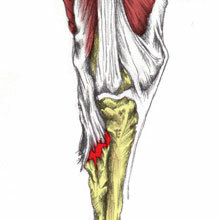 The Popliteus is a small muscle located at the back of the knee joint. The muscle or tendon can be torn suddenly, especially from twisting activities. Or pain can occur gradually from inflammation or degeneration of the tendon, known as tendinopathy. Read more on Popliteus strain/tendinopathy. Posterior knee pain can be caused by injuries or dysfunction in the lower back and hips. Sciatic pain from a number of causes radiates down into the back of the leg, knee and lower leg. The slump test is one test which should be done when examining pain at the back of the knee to identity referred pain at the back of the knee. 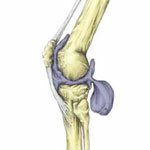 The Posterolateral corner of the knee consists of a number of structures. 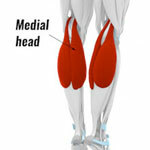 It is a less common cause of pain at the back and outside of the knee. Symptoms can include any of the following; pain and swelling at the back and outside of the knee, tenderness on the outside knee and instability. Swelling within the knee can be enough to cause pain and tightness behind the knee. A full knee assessment should be done to identify the root cause of any effusion (swelling). Previous injuries can often be the cause of chronic knee swelling and development of a Baker’s Cyst. All acute knee injuries should be treated using the P.R.I.C.E. principles (protection, rest, ice, compression & elevation). You should apply the PRICE principles for at least the first 2 – 3 days. Apply ice or cold therapy to reduce pain, swelling, and inflammation. If you have swelling then then apply compression and elevate your knee to allow tissue fluids to drain away. The majority of knee injuries, especially minor ones, can be treated at home. However, if you have any of the following symptoms you should seek medical assistance. Severe pain in or around the knee, especially during walking. Severe swelling (oedema) in the knee. An audible “pop” or “crack” in the knee joint that is painful. A “giving way” feeling in the knee during walking or going up/downstairs. A feeling when the knee “locks” whilst bending or straightening it. Altered sensation in the foot – such as a feeling of “pins and needles” (paresthesia) or a “loss of feeling” (anesthesia) in the lower leg. Inability to complete your normal daily activities after the initial 72 hours. Medical help can be sought from your local doctor or a private clinician such as a physiotherapist, sports therapist, osteopath or chiropractor. If you have followed the P.R.I.C.E. principles (see above) and are still unable to walk after 72 hours or continue to have severe pain after the first 72 hours, you should visit your local A&E department for further assessment. Also, if your knee gives way whilst walking, feels loose (“unstable”) or locks (unable to move the knee due to pain) then you should consult your doctor or visit A&E. If you have applied the P.R.I.C.E. principles and still have weakness or knee pain that lasts a long time (more than 2 weeks) or have ongoing discomfort in your knee, you should seek advice from a specialist expert – such as a physiotherapist, sports therapist, osteopath, or chiropractor. They can give you advice and an appropriate and effective recovery and rehabilitation program.